in the coming season. The Scot will strengthen the squad of drivers at Mercedes-Benz, as Daimler prepares to mark its 120th anniversary of competition in motor racing this year in fine style. Di Resta previously competed in the world's most popular international touring car series for the brand with the three-pointed star from 2007 to 2010, securing six wins, six pole positions and seven fastest laps from 42 races. After clinching the DTM title at the season finale in Shanghai in 2010, Di Resta switched to Formula 1, where he contested 58 grands prix for Sahara Force India Mercedes (2011-2013), scoring 121 championship points. Di Resta and Mercedes-Benz go back a long way - the Scot won the McLaren Mercedes Champions of the Future Kart series in 2000. He became a Mercedes-Benz junior four years later, moving up in 2005 to the Formula 3 Euro Series, which he won with the Mercedes-Benz Formula 3 engine in his second season, beating off competition from four-time Formula 1 world championship title holder, Sebastian Vettel. Di Resta, along with fellow Mercedes-Benz driver Gary Paffett, is one of seven former DTM champions, who have so far confirmed their participation in the 2014 DTM season. During testing in Portimao, Di Resta will take to the wheel of a DTM Mercedes AMG C-Coupe to begin preparing for the DTM season opener in Hockenheim on the weekend of May 3-4, 2014. 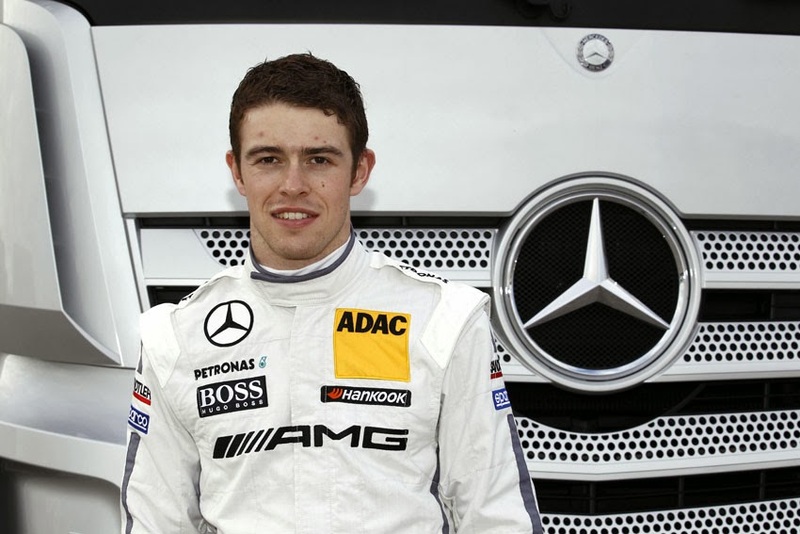 Toto Wolff, Mercedes-Benz Motorsport added, "Paul Di Resta has been a member of the Mercedes-Benz family for many years, and we are delighted that he is returning to the fold this season to further strengthen our DTM squad. Paul has learned a lot during the past few years in Formula 1, and, together with Gary Paffett we now have two experienced drivers in our team, who have already won the DTM title with Mercedes-Benz and can put their knowledge to good use on the track, whilst passing on hints and tips to our Mercedes juniors."